David Buss (@ProfDavidBuss) is considered the world’s leading scientific expert on the evolutionary psychology of human mating strategies. 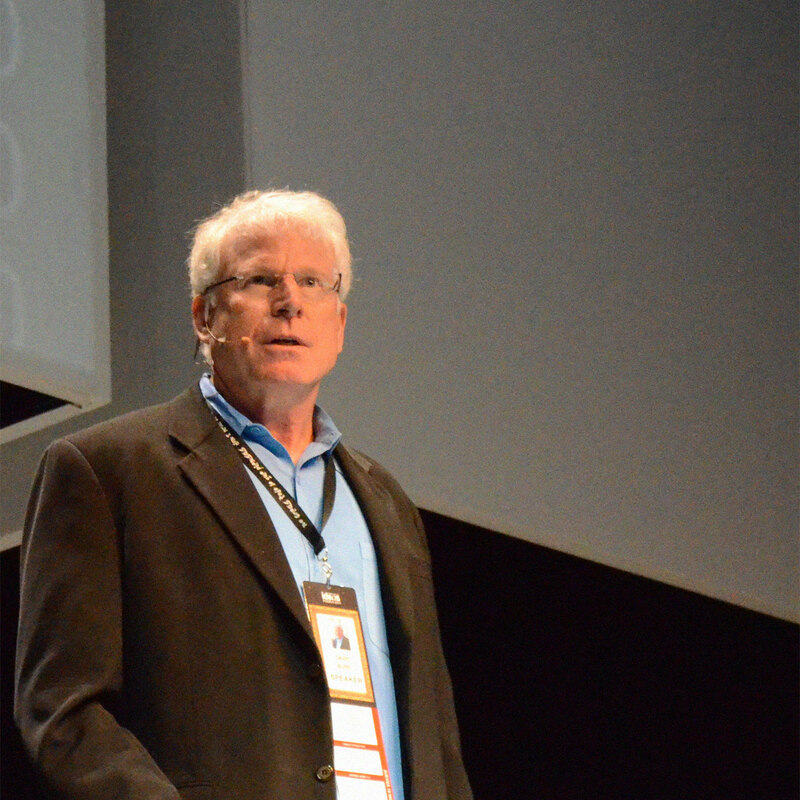 He is the author of several books on the subject, most recently The Evolution of Desire: Strategies of Human Mating. How dating apps work and what they’re doing to our brains. Mate-switching strategies: why affairs happen and the mechanisms at play. How we can track our own mate value to keep our relationships strong and secure. Why mating strategies tend to be universal even if their cultural variations seem to suggest otherwise. Why a vacation with your partner is a good stress-test for seeing what might be in store for your future together. When it comes to mate selection, most of us have some inkling of who we find attractive, even if we might not ponder too deeply why we’re attracted to them. But if we’re in the mood to contemplate life’s big mysteries, one of the biggest that’s crossed most of our minds is this one: what makes us attractive to others? What is it about our evolutionary programming that pairs us up and pulls us apart? Dr. David Buss of the University of Texas at Austin specializes in understanding the evolutionary psychology of human mating strategies — which covers everything from conflict between the sexes to prestige, status, and social reputation to the emotion of jealousy. He joins us for this episode to discuss what he’s learned over decades of research and compiled in his body of work, which includes The Evolution of Desire, The Dangerous Passion, and The Murderer Next Door. Listen, learn, and enjoy! Whether you’re a lady or a gent, you don’t need to know what MicroModal fabric is to enjoy the comfort of MeUndies; you just need to wear them — support this show (and yourself) with MeUndies at meundies.com/jordan for 15% off and free shipping! Outerknown was founded by pro surfer Kelly Slater for people who want great clothes produced by workers who are paid a living wage in an environmentally conscious way. Go to outerknown.com today and enter code JORDAN at checkout for 25% off your full price order! Beauty, as they say, is in the eye of the beholder. And while we won’t go as far as to say there’s someone in this world for everyone, chances are pretty good that somebody, somewhere, finds you beautiful. 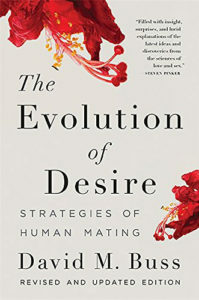 And while it might be tempting to point to cultural ideals as a way to explain why you might appeal to some segment of the population over another, Dr. David Buss, author of The Evolution of Desire: Strategies of Human Mating says the underlying psychology behind attraction is actually pretty universal. “Evolutionary psychology doesn’t make the sharp dichotomy between things that are cultural and things that are ‘biological’ in that we all have the same fundamental evolved psychological architecture — same fundamental psychological adaptations — but they’re differentially activated in different cultures and then also there’s the issue of level of abstraction. My work and other people’s work has demonstrated that women place a high preference on guys who have high status and resources. Well, if you go to the Ache, good hunting skills are what give you status and resources because that’s literally meat for the village. “Whereas in the academic domain, prestige publications give you status and resources. If you were in a motorcycle gang, bravery in the face of danger or the ability to do hand-to-hand combat with other motorcycle gangs might give you status and resources. So there’s cultural variability, but at a more basic level of abstraction, there’s status and resources. So what appears highly variable on the surface is explicable in terms of the underlying psychology. Listen to this episode in its entirety to learn more about how status is acquired in niche communities, the short-term mating psychology that fuels the success of modern dating apps, the role technology plays in how younger generations communicate and date, red flags and ways to test for emotional stability in potential long-term mates, and much more. Click here to thank David Buss at Twitter!